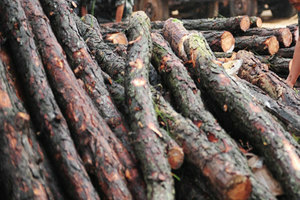 In a bid to improve legal timber trade and save legitimate businesses from falling prey to the losses sustained by illegal logging, Eastern African Representatives from across different countries are meeting to discuss the formal launch and implementation of the steering committee for the Zanzibar Declaration on Illegal Trade in Timber and other Forest Products. The Zanzibar Declaration signed in September 2015 during the XIV World Forestry Congress in South Africa has been heralded as a huge step forward in regional efforts to address the rampant illegal timber trade in East Africa. Along with the launch of the Steering Committee and discussing the progress of the implementation of the Declaration, Member State forestry department representatives will also review a range of shared issues relating to timber trade. This is expected to include the introduction of a mechanism to collaborate on implementation of trade governed under the Convention on International Trade in Endangered Species of Wild Fauna and Flora (CITES), including how to deal with produce seized from illegal trade. At the most recent meeting of the Convention in October 2016, It was decided that trade would now be regulated through a system of permits. Another critical issue for discussion will be laying the groundwork for a block agreement between signatories of the Zanzibar Declaration and importing countries in Asia—such an agreement could have major economic impact for the region given the high levels of timber trade currently taking place with East Asia, in particular China. Also the representatives will be discussing ways to standardize import, export and transit records, including the nomenclature of the species in trade. Since this is one of the ways to allow faster coordination and communication between officials of the various countries involved.